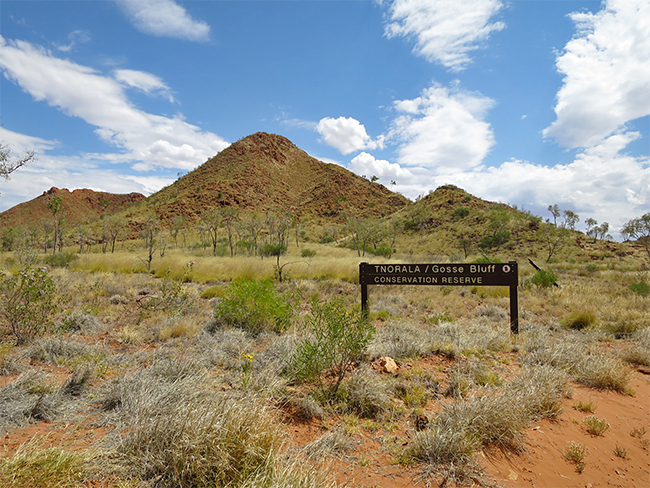 Tnorala (Gosse Bluff) Conservation Reserve is a place of great cultural significance to the Western Arrernte Aboriginal people, as well as a site of international scientific interest. The reserve is a registered sacred site and traditional owners welcome visitors to experience Tnorala's magic, but you should respect the area and obey signs where access is not allowed. Scientists believe that around 142.5 million years ago an object from space, believed to be a comet about 600m wide, crashed to earth, blasting a crater roughly 20km across. Today’s land surface is about 2km lower than the original impact surface and the bluff is about 5km in diameter, reduced over time by erosion. The remnant crater was named Gosses Range by the explorer Ernest Giles in 1872 after H Gosse, a Fellow of the Royal Society. The Aboriginal and scientific interpretation of the Bluff are similar in that they both have a celestial origin. 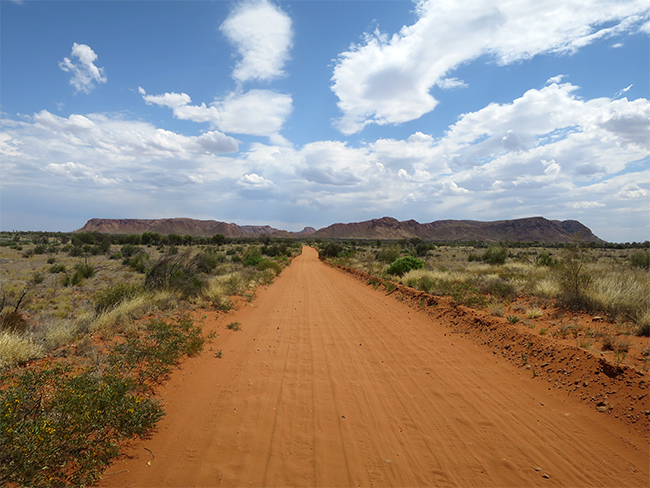 Get the Tnorala (Gosse Bluff) Conservation Reserve fact sheet and map (1.3 mb). You can contact the Ranger Station by calling 08 8956 7799. It is best to visit in the cooler months from April to September. 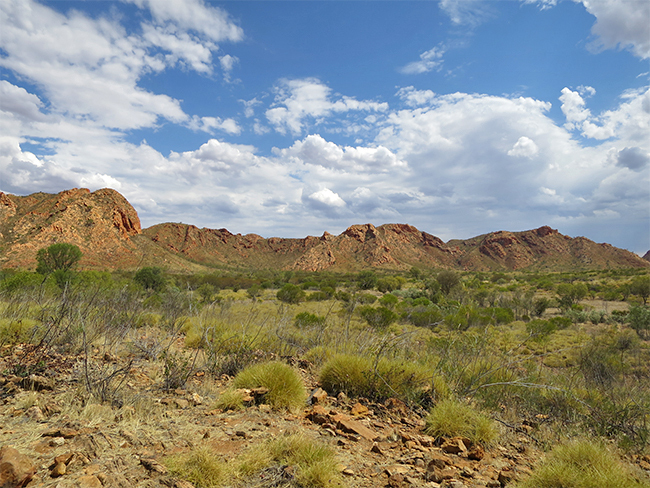 The reserve is about 175km west of Alice Springs. Drive along Larapinta Drive or Namatjira Drive. A four-wheel drive (4WD) vehicle is needed for the last 10km into the reserve. Tnorala Conservation Reserve is a good place to go for short walks or a picnic.